It’s more important than ever to know how our food and ingredients are grown and the farming practices used to support both clean eating and our environment. As we understand more about the significance of soil health, we can continue to improve standards for farming and eating for generations to come. These brands are committed to ethical standards that go  beyond organic, with a mission rooted in bettering our  living environment. Purchasing brands who are doing more for our planet means they can continue to further a positive impact for farmers, animals and crops. Here are some options you can feel good about! Committed to ethical sourcing, regenerative agriculture and fair trade practices, Dr. Bronner’s  Castile Soaps nourish you while keeping our planet healthy too. On a mission to do better business with farmers, producers and growers, True Story is the real deal. Coupling great taste with ethical practices, True Story is creating a sustainable world one bite at a time. Our raw, organic honey is cultivated from pristine beehives, in the clean forests of Northern and Central India, and part of the Himalayan Mountains. Because these native bees live naturally, this pure honey has never been exposed to pesticides, pollutants or antibiotics. It’s always rich in vitamins, minerals and enzymes. 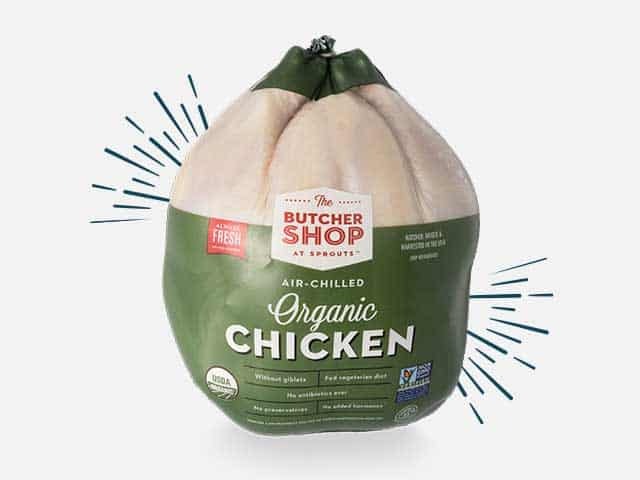 With better flavor and texture, our organic air-chilled chicken is tender and incredibly juicy. The air-chilling process is kind to the earth, saving thousands of gallons of water a day. Big Tree Farms offers exceptional coconut-based products while caring for the farmers and our precious natural resources. Maple Hill Organic has a simple idea for natural, organic milk—let  the cows graze on nutrient-rich grasses—better for cows, better for farmers, better for the earth and better for you! With ample acreage for their dairy cows to roam, Straus Creamery provides deliciously real organic milk for their ice creams. Straus is dedicated to sustaining family farms and revitalizing rural communities. Devoted to farmers and the environment, Wicked Joe Coffee is produced in an energy-efficient facility. Fair Trade and Organic Certified ensures that farmers and the land are treated with care. Made with nutritious, organic whole-wheat flour, each loaf of our organic bread has a soft texture, mild flavor, is sweetened with honey and seasoned with a pinch of  sea salt. MegaFood’s  dedication to accountability offers you effective supplements with a purpose. Each powerful gummy is made from real food provided by partners who share their commitment to organic and regenerative agriculture. Family-owned and operated, Cal-Organic Farms lives and breathes organic. Their delicious produce is grown on U.S. land by utilizing renewable resources and reducing waste.